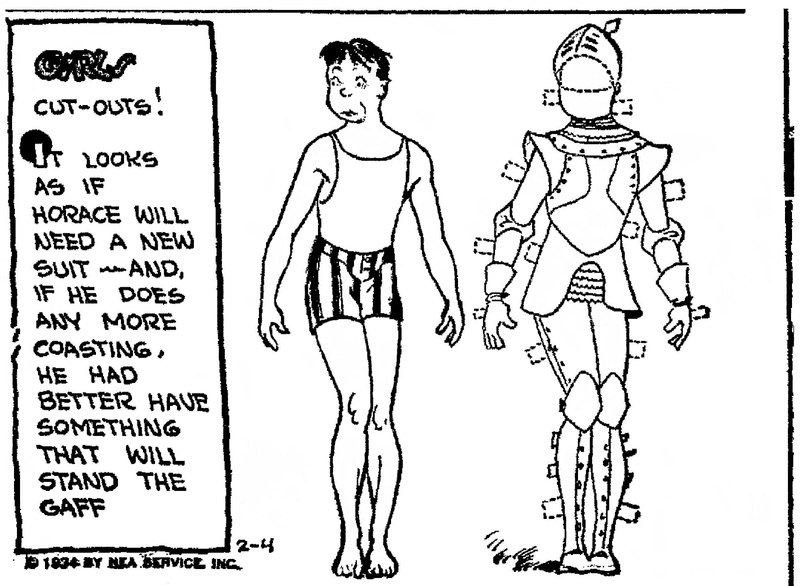 Most of the paper dolls on this site are from newspaper archives. All newspaper items have been copied in black and white. I have added color to some of the paper dolls. All of the coloring contests for movies and from ads were found searching through newspapers. February 03, 1934. HORACE as a knight. He would need this suit of armor after he married Babe. Color Something Good To Eat! In 1492, Columbus sailed the ocean blue . . .
A Happy Day For Me in 1971.